Rub-R-Wall and Plus is the preferred, cost-effective waterproofing solution for the residential and commercial applications. It is a spray applied 1OO% seamless rubber membrane that has been specified by architects and builders on projects around the world with unsurpassed performance especially on poured concrete walls. 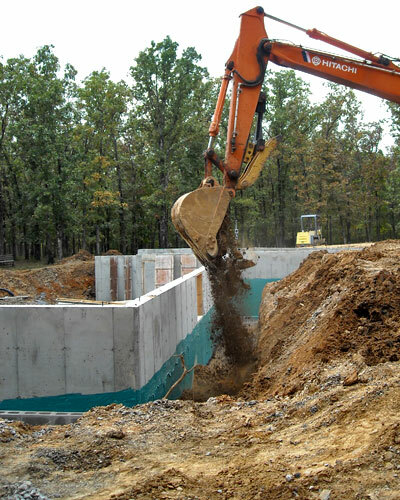 Warranty – Rubber Polymer Corporation provides a lifetime limited warranty on new residential foundations. Application – Rub-R-Wall is applied only by certified applicators to assure the highest quality installation. Durability – Independent laboratory tests show a projected life expectancy of more than 1OO years of Rub-R-Wall, even when constantly exposed to water. Toughness – The rubber polymer of Rub-R-Wall provides a tough membrane designed to resist abuse and is available for applications with or without protection board. Elasticity – Rub-R-Wall is incredibly elastic (over 1,8OO percent elongation) to bridge shrinkage cracks. Adhesion – Rub-R-Wall is formulated to adhere tenaciously to cemented surfaces. 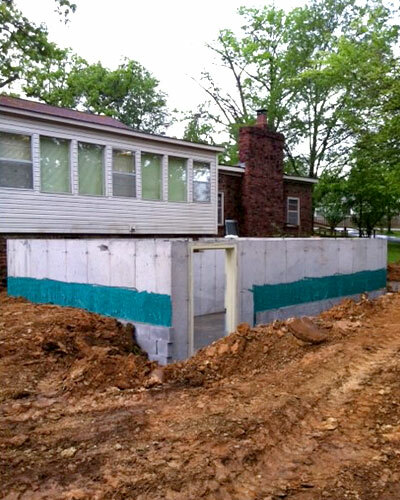 Rub-R-Wall holds protection or drainage boards tightly with minimal mechanical fasteners.